These three lucky anglers chose to fish aboard the Lady K Monday morning after the heavy weekend blow and caught these nice Red Grouper while fishing sardines on the bottom. Other anglers also brought in some nice Yellow-tail and Mutton Snapper along with an assortment of other bottom fish. 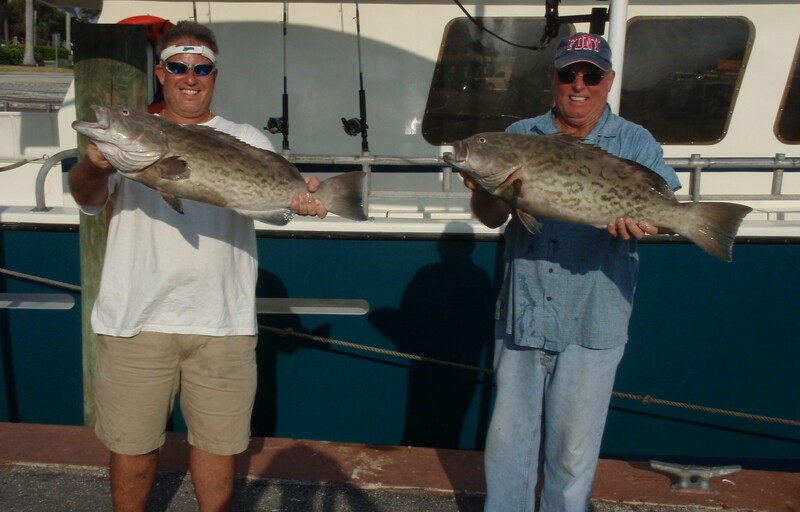 The afternoon trip gave VIP anglers Danny (l) and JR (r) a golden opportunity to land these nice Gag (Gray) Grouper. The fish both ate dead sardines spooled along the bottom. 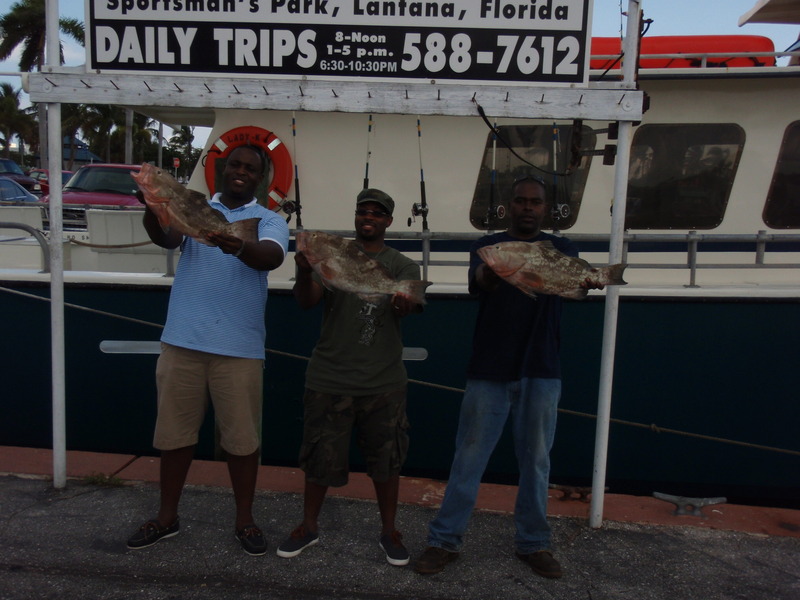 A few more nice grouper managed to elude anglers by rocking them up in the reef. The Lady K also caught some more nice Mutton and Yellow-tail Snapper along with a few jumbo sized Gray Triggerfish. There are still Mahi Mahi and King Mackerel coming aboard the Lady K this week along with an assortment of bottom fish, Grouper, Triggerfish and Snapper. So plan a trip today aboard the newly updated Lady K ! « October Special! VIP 10 Pass at $25 Per Trip!